Monster Studiolink Interconnect Cables are designed to meet critical studio demands where the cables connecting your components can be the weakest link in your signal chain. Two multiple-gauge Bandwidth Balanced wire networks preserve clarity and presence, and patented Time Correct windings provide a phase-accurate, open soundstage with precise imaging, tight bass and smooth highs. Studiolink's durable jacket is ultra-flexible for use in tight spots and holds up after years of use. 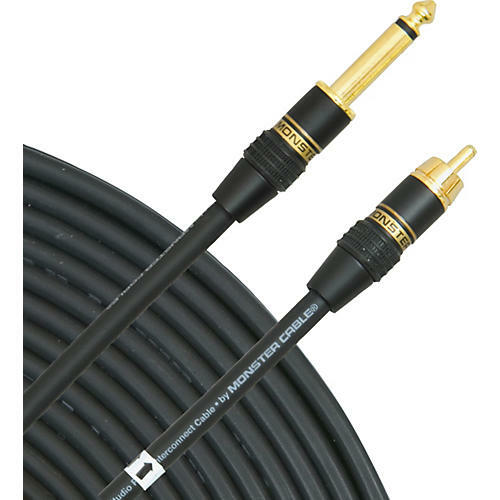 High quality, 24k gold-plated contact RCAs, 1/4plugs or NeutrikXLR connectors provide optimal signal transfer in several configurations. Grab a Studiolink cable today and discover a high performance connection.